The Lexus UX has been revealed ahead of its official debut at the 2018 Geneva auto show, and compared to the concept from the 2016 Paris auto show, the production model’s styling has been toned down significantly. Lexus’ spindle grille still dominates the car’s front fascia but the angular headlights that contributed to the concept car’s aggressive looks have been replaced by more conventional-looking clusters. The rest of the car appears more rounded compared to the sharp-edged concept, with a wider-looking greenhouse for a better view out of the car. Since this is the F Sport variant, expect the standard UX to feature a different grille and body-colored side mirror covers instead of the two-tone look seen on this car. Lexus says the UX crossover is underpinned by a new platform, likely Toyota’s TNGA architecture, which is used in the Prius, Camry, and C-HR. 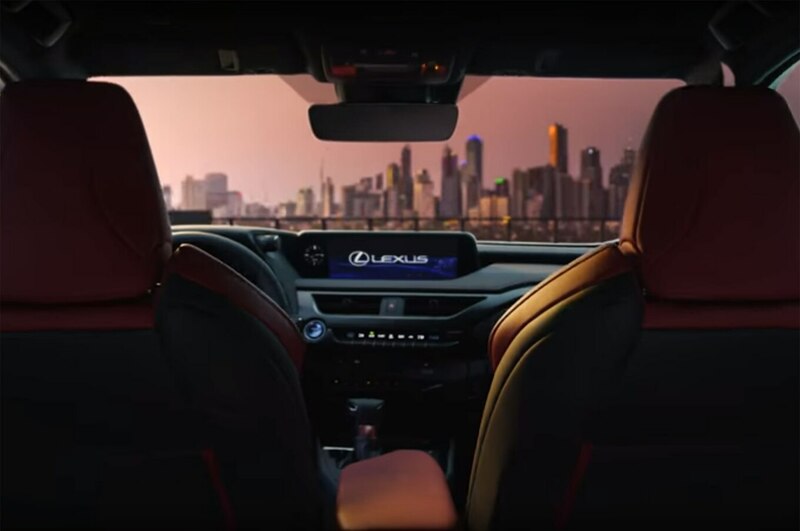 Lexus also released a video that shows the UX’s interior, and like other Lexus vehicles, it features a large screen on top of the dash. The center stack, however, appears to be less button-heavy and tilted slightly toward the driver. As with other Lexus models, the infotainment system has touch pad controls that are positioned to the right of the shifter. Expect the Lexus UX to arrive later this year. The model should offer a new hybrid powertrain based on the blue-highlighted Lexus badge. A gas-powered variant with Toyota’s new Dynamic Force engine family should also be in the cards.